Compsognathus fossil The fossil skeletons of Compsognathus (above) and Archaeopteryx look very similar. 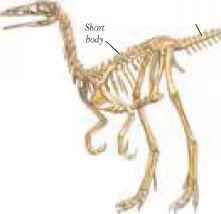 Scientists found an Archaeopteryx skeleton in 1951, but for 22 years they mistakenly thought it was a Compsognathus skeleton. 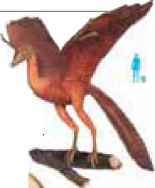 Similarities Small theropod dinosaurs, such as Compsognathus, had many features Long in common with fingers Archaeopteryx. 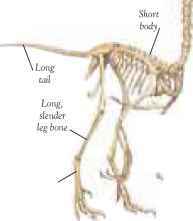 skull, a short body, long, thin limbs, and in some theropods, a wishbone. This helps confirm their close relationship. Archaeopteryx fossil This fossil skeleton of Archaeopteryx was found in 1877 in Germany. Fossil impressions left by the feathers can be seen clearly. 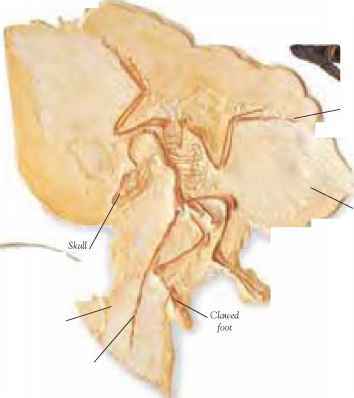 Archaeopteryx was a carnivore. 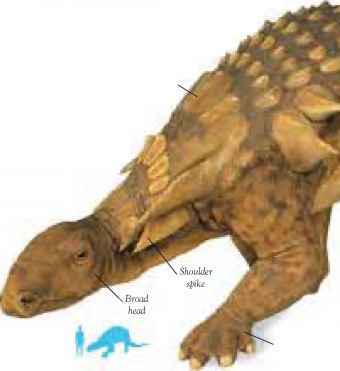 It ate small animals and insects. The feathers of Archaeopteryx were similar to those of modern pigeons. The name Archaeopteryx means "ancient wing." • Lived toward the end of the Jurassic period. • Archaeopteryx skeletons have been found only in Germany.